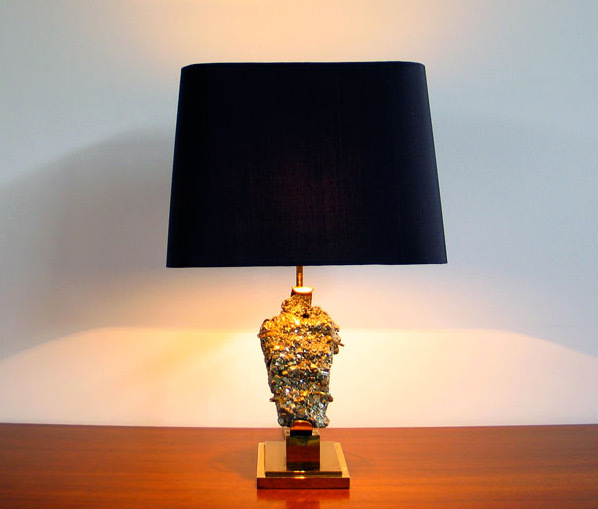 French table lamp with specimen of Pyrite or Fools Gold by Willy Daro. Mounted in a bronze base or easel. Shade newly covered with a deep chocolate brown silk velvet. Lampe de salon avec pire de pyrite, Willy Daro. Monte sur un support en bronze. Abat jour en soie brun fonce.